Here's a bit of alarming news for anyone who owns a taxi that takes credit cards (in other words, anyone with a taxi): fraud is on the rise, and a new American law says that your company can now be held accountable for someone else's credit card fraud. That's right - if any passenger commits credit card fraud by way of a taxi that takes credit cards, then it means your business could be the one paying for their crimes. Gazoop wants to avoid this happening to you, so here is the best way to avoid accidentally getting wrapped up in credit card fraud. 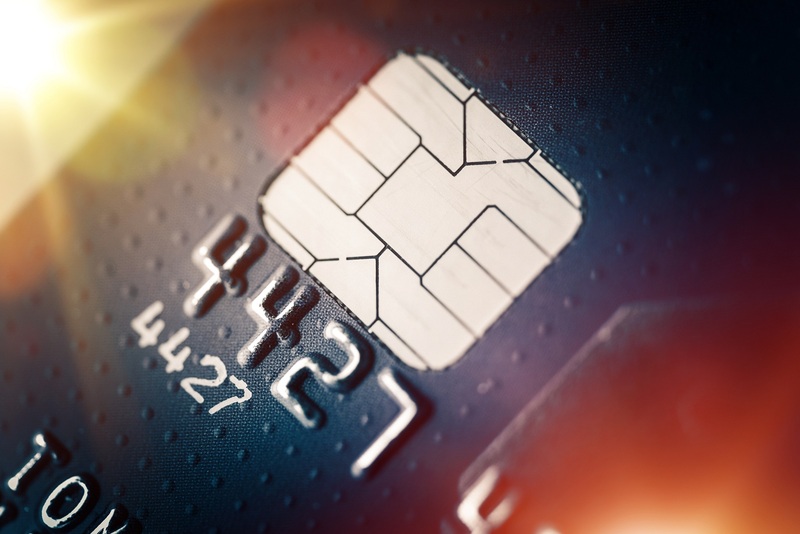 For some time now, newer credit cards have come with a microchip installed inside that contains extra security data in addition to the standard magnetic strip (you've probably seen them). Credit card fraud in taxis happens when your fleet is using an old credit card machine that doesn't have one of the newer microchip readers. Under these circumstances, if a passenger has a newer card with the security microchip, but the taxi doesn't have a microchip reader, then you are potentially committing credit card fraud with each swipe. A dishonest passenger enters your taxi and gives you someone else's card. You don't have an up-to-date credit card machine and the charge goes through. You are now legally liable for their taxi fraud. Obviously, you want to have the most recent credit card machines that have a microchip reader. You can also match the signature on the back of the card with the signature on their drivers' license, but this method is awkward and also means that you could lose business if their card is not signed. Fortunately, these aren't the only two ways to prevent this from happening to your business - another way to prevent credit card fraud is to use a Cloud-based dispatch system like Gazoop. How Can Gazoop Prevent Credit Card Fraud? Gazoop is the leading Cloud-based dispatch system for taxis that take credit cards. As such, we have one of the most secure methods of payment in the world. With our mobile booking app, customers can actually prepay with a credit card before they even get in the taxi. What does this mean? Well, it is very difficult to commit taxi fraud on your end if the customer has already paid in advance as AVS and CVV2 checks would have been completed in advance. Your drivers will never have even handled any cards, which means that your business will never have to worry about credit card fraud charges ever again. Gazoop does more than just offer your customers a way to pay safely; our Cloud-based dispatch system offers style, comfort and convenience that will keep customers coming back to your company for rides again and again. With Gazoop, you will no longer have to worry about getting sucked into an insane legal mess over credit cards . . . in fact, when you use our services, you won't hardly have to worry about anything at all! Did you know that Gazoop recently became an official Certified Solution for Authorize.net? We demonstrated our highly integrated and secure solution to them and we've been awarded this status. For more information about hooking up with Authorize.net please do click here.